Writers of church and mission history have devoted very few pages to George Liele’s ministry and most mentions ignore the global nature of his pioneer work, international influence, intelligence, and legacy. He launched a mission movement that reached from Georgia to Jamaica and from Jamaica to Sierra Leone and Nova Scotia—all before the pioneer work of William Carey, Adoniram Judson, Richard Allen, and Lott Cary. Beginning as a slave preacher, Liele learned the Baptist story and theology—a message he preached in South Carolina, Georgia, and Jamaica. In providing a comprehensive introduction to Liele’s life and work, this book draws readers into identifying with Liele and those who lived through a difficult historic period and who in the process developed a theology that guided them through the challenges of being a Christian leader in a slave society. The Christian movement has always been greater than any individual or local church community has imagined it to be. In Liele’s time, key leaders among the “white” church enabled a gifted person like Liele, despite his slavery, to develop his faith and leadership among blacks and whites, in spite of the perils of slavery. Liele was an organizer, mentor, church and school founder, an abolitionist, and a master negotiator. His roles have been documented by other scholars, but largely as footnotes or a tiny part of their analysis. 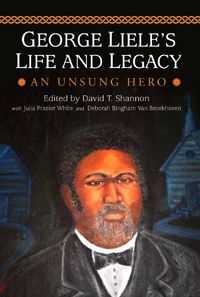 Approaching the many parts of Liele’s life and legacy globally, theologically, and historically, this book is the byproduct of a collaboration of scholars and historians who share the belief that George Liele is truly an unsung hero and one whose leadership and journey needs to be recognized at this particular time in history. Those reading these perspectives on Liele will find new truths about Christian ministry and missions.